Collingwood Football Club is Australia’s largest and most famous sporting club. With over 2m fans and 80,000 members, they are a leader in Australian sport, hospitality and entertainment. 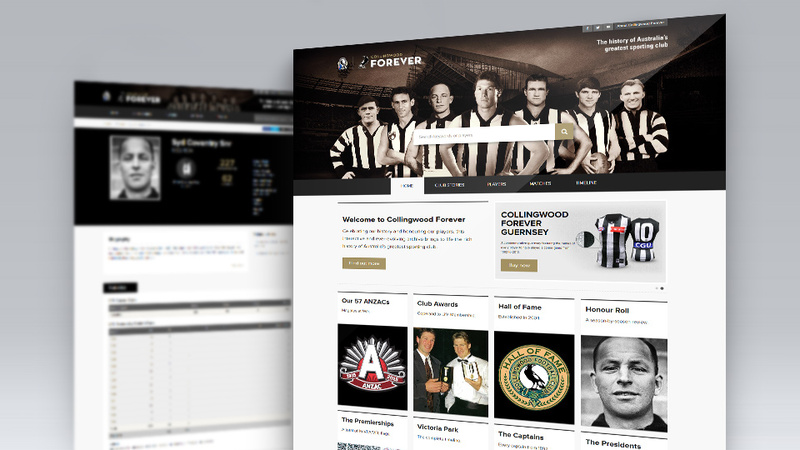 PENSO built forever.collingwoodfc.com.au, the best and most comprehensive online sports museum in the world. The website features player biographies, commentaries, articles, images, artwork and over 47,000 player match statistics along with data on nearly 2,500 matches from 116 seasons against 19 teams from 1897 to 2013. As part of the project, PENSO developed the brand name, brand mark and identity for Collingwood Forever, taking inspiration from Collingwood’s “golden era” of the “Machine Team” of the late 1920s. This era’s art deco styling inspired the design of the branding, website and other “Collingwood Forever” materials and activations. 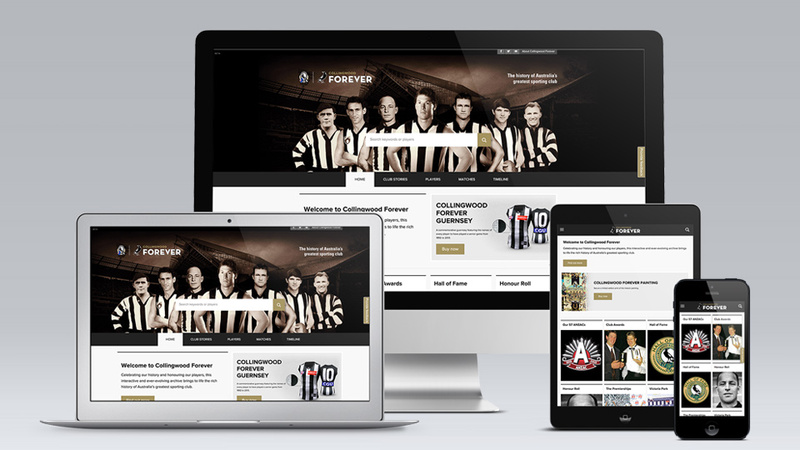 Collingwood Forever is continually evolving with the creation of new articles, video, social features and comparison tools, offering fans an immersive Black & White experience.